Last Monday, I came home on a rainy night to an oddly performing stove. My stove and I go way back; it’s a trusty machine that rarely disappoints. But, it started giving me tricks which led to the single person paranoia that I just might have a gas leak. All details aside, I called the non-emergency line to the fire department and quickly had four fire trucks (with sirens) outside my house. As luck would have it, the universe was gracious and sent my friend Nick (#soGSO) and the fine guys from Station 11 over to give me a hand. Rest assured, no gas leak and they were nice enough to give me some pointers on how to fix the kink. It was an embarrassing moment that turned to a feeling of gratitude for living in such a small world. As a thank you, I baked some Smoked Almond (get it?) Chocolate Chip Cookies and delivered them to the station yesterday. It was really a treat to see the station and learn about how they operating. 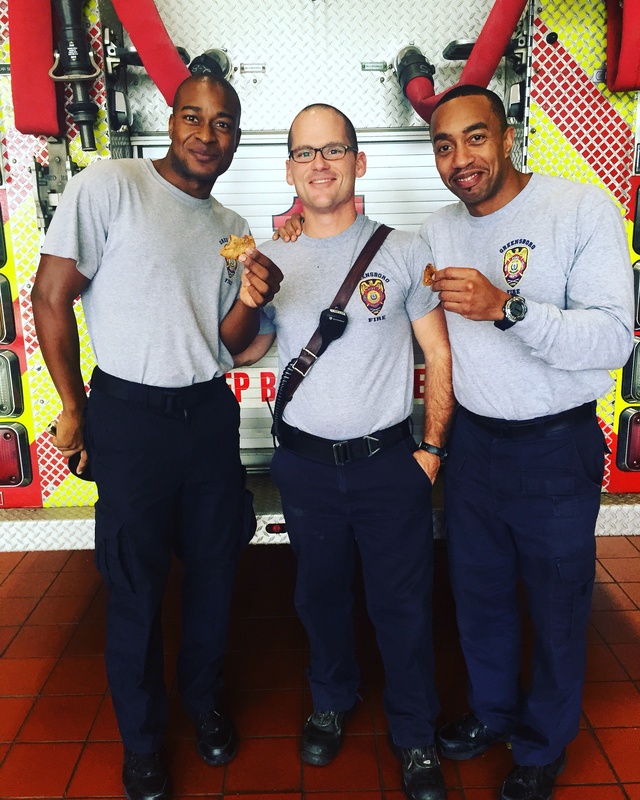 Plus, the team of firefighters smiling over a box of warm homemade cookies was the highlight of my day. 1. Preheat the oven to 350 F. Prepare 2 sheet pans by lining them with parchment. 2. In the bowl of a standing mixer, cream together the butter and the sugar. 3. Add the eggs and the vanilla and mix well. 4. In a separate bowl, combine the flour, baking soda and salt. 5. Add the dry ingredients into the creamed mixture and combine well. 6. 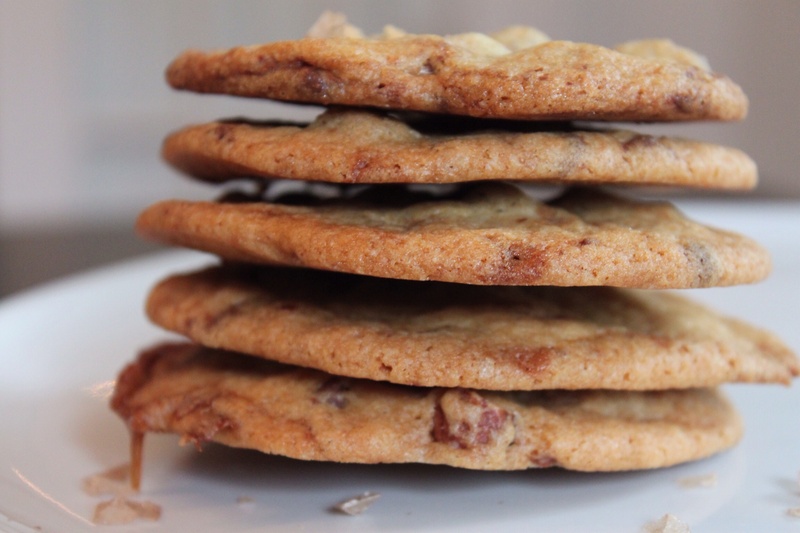 Add the almonds, chocolate chips and toffee and combine well. 7. Scoop cookie dough onto the prepared sheet pans, leaving an inch or two between each to allow for spreading. Bake at 350 F for 8-10 minutes. 8. Remove from the heat and let the cookies cool on a rack.